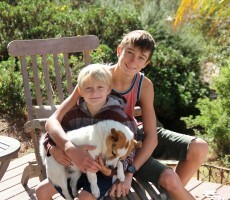 Alpine Dog Ranch & Retreat - We Offer Dog Care & Training! Since 2004, Alpine Dog Ranch and Retreat has provided a getaway for dogs, while their families are on vacation. The ranch is family owned and operated and is fully licensed with San Diego County and is fully insured through Travelers Insurance. 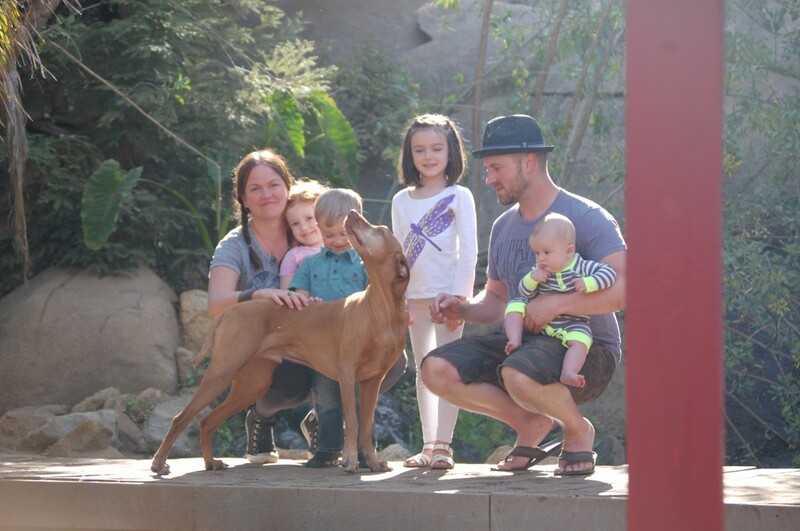 Thomas Mackinnon, the Zen Pack Leader and dog trainer since 2006, emigrated from South Africa in 1992 for schooling. He received his BA degree in English and music but all through college his passion was being in the mountains with his dog, Brian. Dogs were always a part of his family while growing up in Africa but Brian was his real trainer. Brian has since passed away but Thomas continues Brian’s legacy helping dogs find balance, calm and inner peace—the Zen Dog state. His dogs, Victor(Jack Russel mix, Rafiki (Viszla), and Cassey(Weimeraner), are the assistant trainers and playmates for the guests. Keren Mackinnon, the CEO, also emigrated with Thomas and studied a BFA in fine art. She is an avid animal lover since birth and struggles to say no to any fury friend. Together with their four children, Eden, Leila, Julian, and Lucas they all help to make the doggie guests vacation a special and tiring one! They live onsight in their little log cabin and so can watch over the dogs 24/7. They are living their dream taking care of their beloved K9 guests hiking, playing and interacting. Jacob Gross, our ranch manager, was raised in south east Texas in a family of 11, who always managed to make room for a wide variety of pets. Any critter was welcome, but Jacob always had a certain partiality to dogs. As a lover of music and the outdoors, nothing made him happier than playing guitar by a campfire with his Doberman, Murphy by his side. Lisa Gross, our ranch manager, grew up surrounded by the stunning scenery of the Rocky Mountains, which inspired her passion for photography and influenced her love for nature. She was raised in a family where dogs were always considered a part of the family. 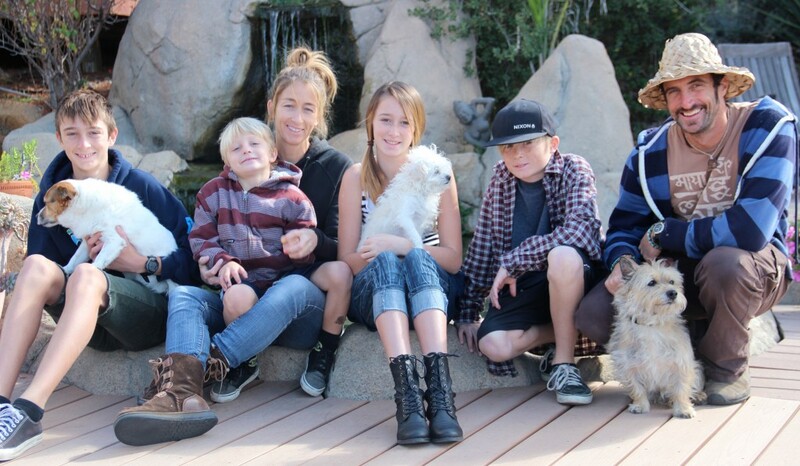 Lisa, Jacob and their four children have definitely found their place here at the ranch, where they can spend everyday with southern California’s finest pups.